Day two of our preview introduces a new artist to the platform, Kong Andri! 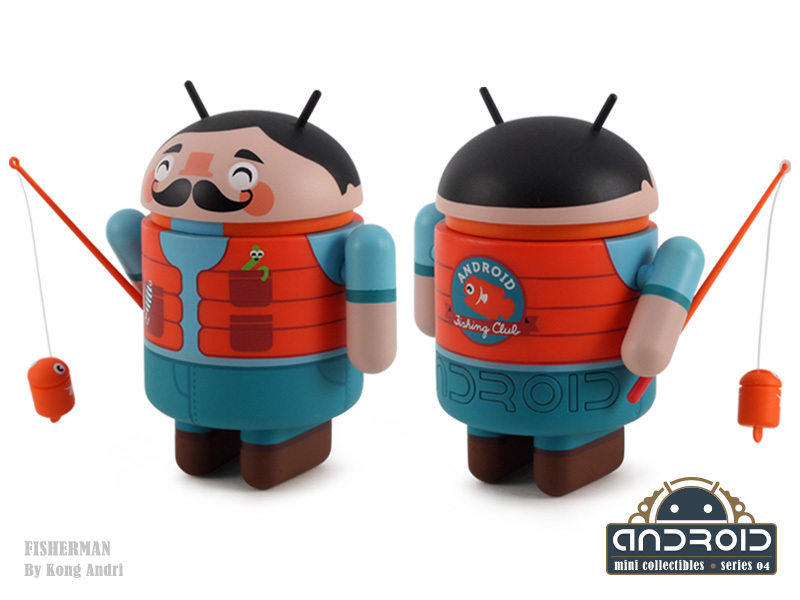 His bright graphic style works perfectly on the Android mini figure. 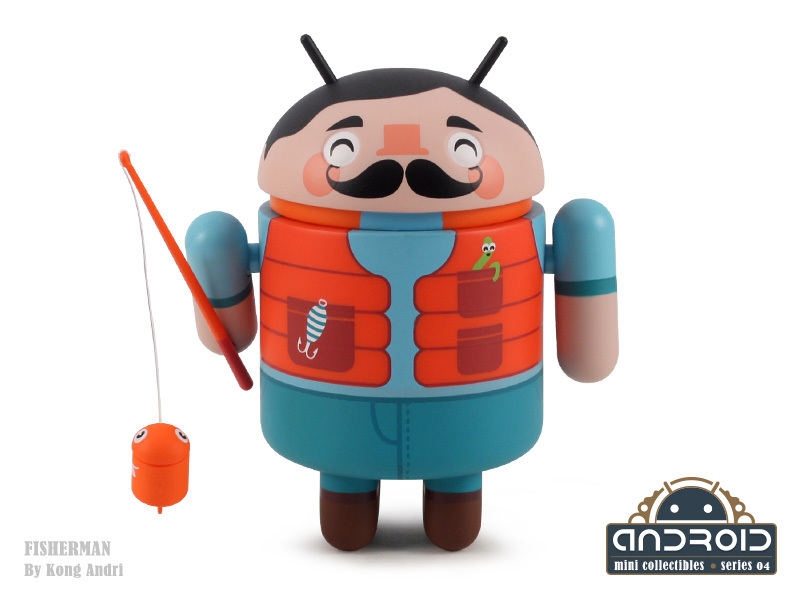 Grab your gear, shove some worms in your pocket, and join the Android Fishing Club with his “Fisherman” design. Catching this guy won’t be too hard, 1/16 ratio.